We’ve got together with Afro Celt Sound System and The Imagined Village founder Simon Emmerson to launch the very first Bridport Winter Solstice Festival from 21-22 December: When The Light Returns. Shake off the winter blues and get into the Christmas spirit with your friends on Wednesday 21 December when the mighty Dhol Foundation and guests The Bollywoodettes and Nachda Sansaar dancers take to the stage for a special Bollywood Night. Get here at the start of the evening for a FREE dance lesson. The following day, Thursday 22 December, Billy Bragg will be here with his special guest, Grace Petrie, for Whatever Happened To The Protest Song? an evening of music, discussion and film. But get in on it at the start – Bridport Winter Solstice Festival is going to be big! Master Dhol Drummer, Artistic Director and Music Producer Johnny Kalsi steers his band, The Dhol Foundation, as they travel the globe with the mission to promote and expose the indigenous sounds of the Dhol Drum to the masses. Performing at major world class events such as the London 2012 Olympic Closing Ceremony, The Queen’s Diamond Coronation Celebration Gala at Buckingham Palace and the Formula 1 Singapore Grand Prix, the Dhol Foundation are Ambassadors of WOMAD & WOMAD International. 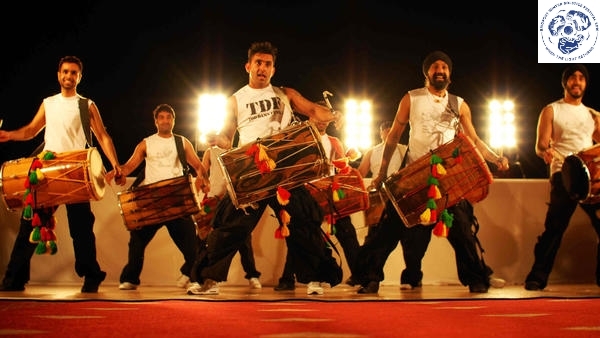 Always engaging the audience with the full power and energetic performances, The Dhol Foundation have been effervescent and wowing the crowds with their dynamics, whirling arms and thunderous beats. Their musicality is formed from a rich tapestry of culture, passion and their love for World Music. While they tour, they absorb influences from collaborators, record them on an album and deliver them on stage.